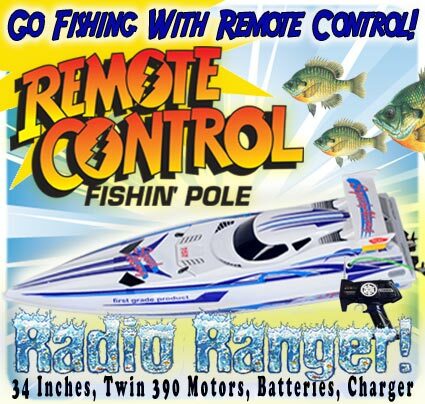 Radio Ranger radio control fishing boat and pole combo- RC Fishing Boat Radio Ranger Radio Control Fishing! 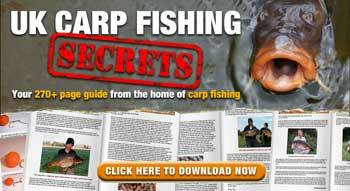 Use it to deliver your Hook, line, bait instead of casting! Drop your fishing line at your favorite fishing spot. Or leave the line attached until a fish hits, the line will release from the boat, then reel in the fish! Attach the piece of line and small hook, and bobber, (included) and “watch” the bobber, when a fish bites the hook use the boat to bring in the fish! Drive your line as far as 300-400 feet! Previous Post5th Annual Carp Fishing Holiday 07 Manicure Lake Day 10 Pt2Next PostRC Fishing boat catches Yellowbelly.